WHETHER they truly anticipated it or not, the DUP and Sinn Féin have got a ‘Fresh Start’ at the Assembly. The political deal cobbled together late last year to stabilise Stormont, may have promised a shiny new beginning, but few believed it would happen. Now the decision of the UUP and SDLP to opt-out of government, together with the messier exit of the Alliance party, means we do have something ‘fresh’. 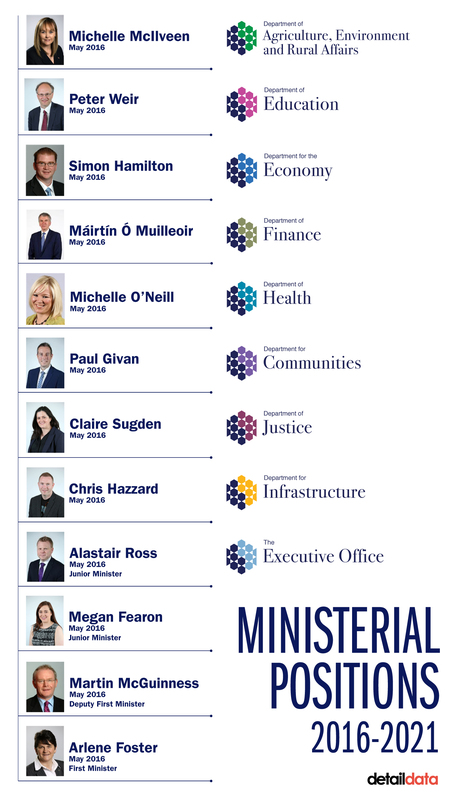 What’s new is the appointment today of a fully DUP/Sinn Féin government, with independent unionist Claire Sugden acting as a compromise candidate in the sensitive post of Justice Minister. Some of the clutter has been cleared from the political stage and it should now be easier to see how the two dominant parties perform. But Sinn Féin is arguably under greater pressure than the DUP. The criticism levelled at unionist politicians is that they’re more focused on short-term tactics than long-term strategy. But the recent Assembly election suggests nationalist voters, while recognising Sinn Féin’s long-term ambitions, would like to see better delivery in the here and now. Sinn Féin’s decision to take the office of Finance Minister, to be filled by Máirtín Ó Muilleoir, and Minister for Infrastructure, to be occupied by Chris Hazzard, shows that the party recognises the need to start producing practical economic achievements at Stormont. It was suggested that republicans might have preferred the Department of the Economy, but that was taken by the DUP as it had the first choice under the d’Hondt power-sharing system. But the choice of two economic briefs by Sinn Féin, which had previously placed a priority on taking the education portfolio, reflects the pressure to transform the economic disadvantage facing many nationalist communities. The historic failure to provide predominantly nationalist areas with the basic infrastructure to support business development has also yet to be addressed. 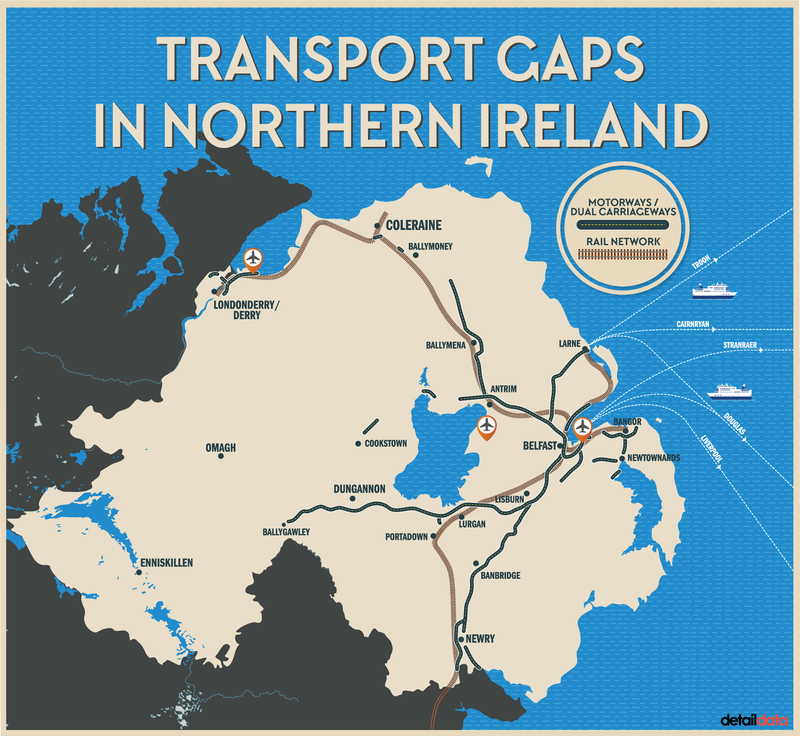 Meanwhile, for a series of reasons reported here, economic investment in Northern Ireland has often failed to achieve the desired regional spread, though that duty remains primarily in the hands of the new DUP Economy Minister. As ever, Sinn Féin’s Stormont tactics must also be viewed in terms of its all-Ireland ambitions. Holding two important economic ministries may have the additional benefit of positioning Sinn Féin as an economically responsible party that is ready for government in Dublin. The additional choice of the Department of Health means Sinn Féin is responsible for the biggest budget in the Executive, but it is arguably the most challenging brief. Waiting lists and outcomes for patients are huge public interest issues for the new minister Michelle O’Neill, but so too is the need for structural reform in the health service and greater accountability to patients. The Health Department role may have fallen to Sinn Féin as a result of the withdrawal of the smaller parties, but for all its undoubted challenges, the department is also one that presents opportunities for better cross-border synergies. After enjoying a hugely successful election, but one that owed much to her predecessor’s planning, Arlene Foster now has a chance to truly strike out on her own and deliver her vision for the DUP in government. Her ministerial team includes Peter Weir (Education) and Simon Hamilton (Economy), who share her history as former members of the Ulster Unionist Party. The decision to make Economy the party’s first ministerial choice suggests that, after holding the Department of Finance for so long, the DUP believes the economic development post is more important. The new Agriculture Minister Michelle McIlveen is an established DUP member who has held senior roles and became Regional Development Minister when the UUP left the Stormont Executive late last year. She now brings her experience to the important agricultural sector, facing the question of next month’s Brexit vote plus a host of wider challenges. Her selection means that the former Junior Minister and long-time Special Adviser to Peter Robinson, Emma Little Pengelly, misses out on ministerial duties but does receive an important role as chair of the Finance Committee which has been scrutinising the sale of NAMA’s Northern Ireland portfolio. Paul Givan is a DUP member in the traditional mould. He was regarded as supportive of Edwin Poots when the DUP veteran was seen to be publicly challenging Peter Robinson. Mr Givan also proposed a “conscience clause” for equality legislation in the wake of the Ashers Bakery case. He will take up the Communities Ministry which includes housing and the promotion of equality. But the big ticket gain of the DUP in its ministerial choices is that it finally takes responsibility for Education from Sinn Féin. The DUP faces challenges in tackling deficiencies in a divided education system, especially lower attainment among pupils from deprived backgrounds. But how will the DUP balance that need with its desire to support academic selection? Figures previously published here by The Detail showed that there were three times as many pupils from deprived backgrounds in secondary schools as there were in grammar schools. How will the DUP square that circle? The previous Stormont departments, shown on the left, have been replaced with the new ministries, shown on the right. Scroll over the image for more information. Graphic by Bob Harper of Detail Data. The truth is that while the recent election campaign talked-up the role of ‘bread and butter’ issues in Stormont politics, that was not borne out in voting patterns where the electorate divided on the usual unionist/nationalist lines. That reflects the fact that the constitutional issue remains controversial, as does dealing with British and Irish identity, dealing with the toxic legacy of the Troubles, dealing with ongoing paramilitary activity, coping with demographic change, and the pressure that may come from political shifts in the Republic of Ireland and in the rest of the UK. The Assembly was created after the 1998 Good Friday Agreement to provide a place where unionism and nationalism could learn to work together after generations of conflict. That task of building reconciliation is still the biggest test facing the DUP and Sinn Féin. Now that the smaller players have left the main political stage, we’ll see more clearly how the big two can perform. In the next few years we’ll either get real government, or a real crisis.